OutBACKids Discover Sydney’s Best Backyard! Discover Sydney’s Best Backyard with Sydney OutBacKids, a unique program to inspire a love of nature, learn about Aboriginal heritage and enjoy outdoor fun in Aussie wilderness, just on Sydney’s doorstep! The team at Sydney OutBack know if you can help a child engage with and learn from the tour’s experiences, then the parents can engage, learn and relax too. 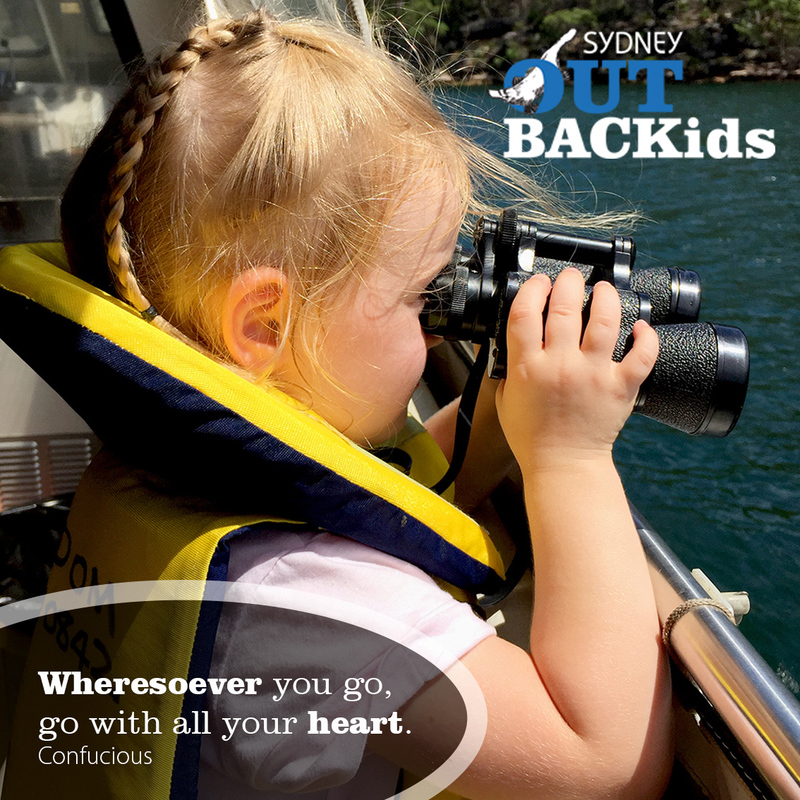 So, in 2016, we developed and launched our Sydney OutBACKids program, that is available to children aged 4 – 14 years on all Wilderness and Aboriginal Explorer Tours and Cruises. The goal is simple: to help children learn to love nature, discover Aboriginal heritage and have dinkim Aussie outdoor fun in Sydney’s best backyard: Ku-ring-gai Chase National Park. The park is distinguished in its own right and the OutBACKids program aims to make concepts about biodiversity, Aboriginal heritage, landscapes and waterways more easily understood for our smaller guests, and help both guides and parents facilitate each child’s learning experiences. Give them structure and vision for the day: The sense of reward or achievement at the end of a tour helps children stay focused. On our tours, children track what they see in a take-home workbook to earn their own Junior Explorer Certificate; we focus on uniquely Australian sights and experiences relating to Aboriginal heritage, wildlife and nature. Tap into all their senses and interests: In addition to the workbook, our guides engage children with hands-on activities, including art and craft options, to trigger their learning with sensual keys like listening for sounds of birds and animals, tasting bush tucker and smelling eucalypt or the salty sea air. We aim to discover each child’s interest; such as the creative child learning how rock art was made, or a young boat-lover enjoying a mini-masterclass with our skipper to learn an essential boating knot. Be organized: On our tours, we aim to keep children engaged throughout the day, while also allowing room for self-discovery in a safe, facilitated way. On our boat, for example, the program covers everything from childrens’ life jackets to an Aussie themed children’s library, kids’ binoculars, activity packs, and a tactile nature “touch” tray to ensure there’s plenty of options for the active, interested child. A Sydney OutBack tour by land and water is suitable for the whole family. To learn more about Sydney OutBack’s Wilderness and Aboriginal Explorer Tour and Cruise, just click here. Our tours are part of Tourism Australia’s Indigenous Tourism Champions Program (ITCP), recognizing that we offer a quality experience that that meets the needs and expectations of international visitors. When is an owl not an owl? When it’s a Tawny. Wildflower Season Blooms in Sydney’s Out Back! Tree Ferns: An Oasis from the Aussie Sun! “Dining out” on bush tucker – way out. Like, Out… BACK of Sydney!